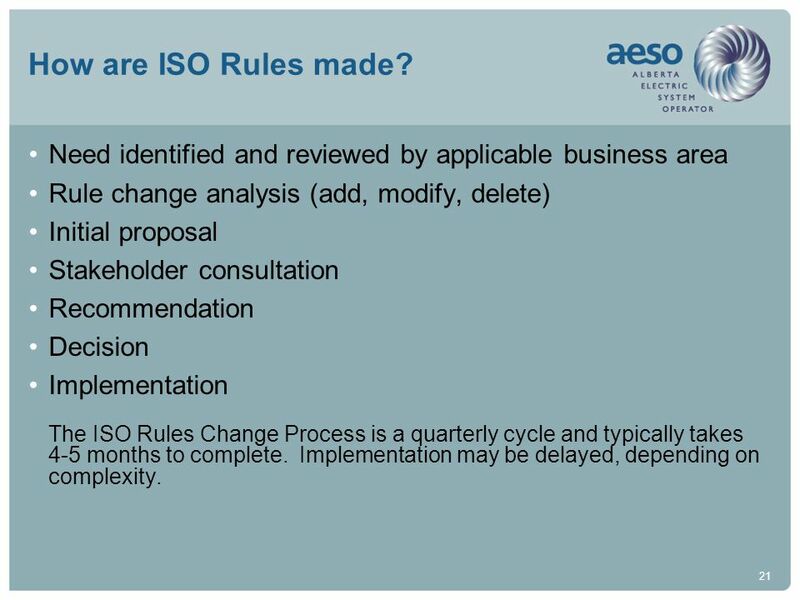 21 How are ISO Rules made? 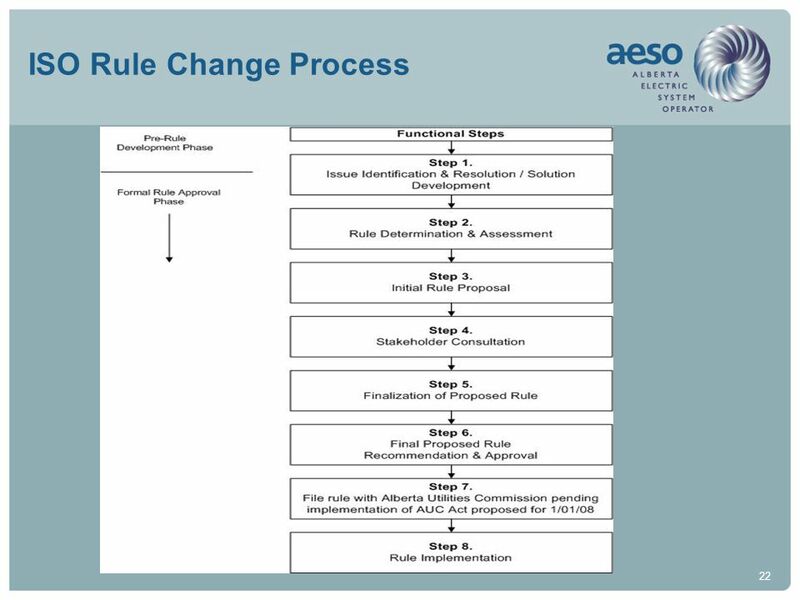 Need identified and reviewed by applicable business area Rule change analysis (add, modify, delete) Initial proposal Stakeholder consultation Recommendation Decision Implementation The ISO Rules Change Process is a quarterly cycle and typically takes 4-5 months to complete. 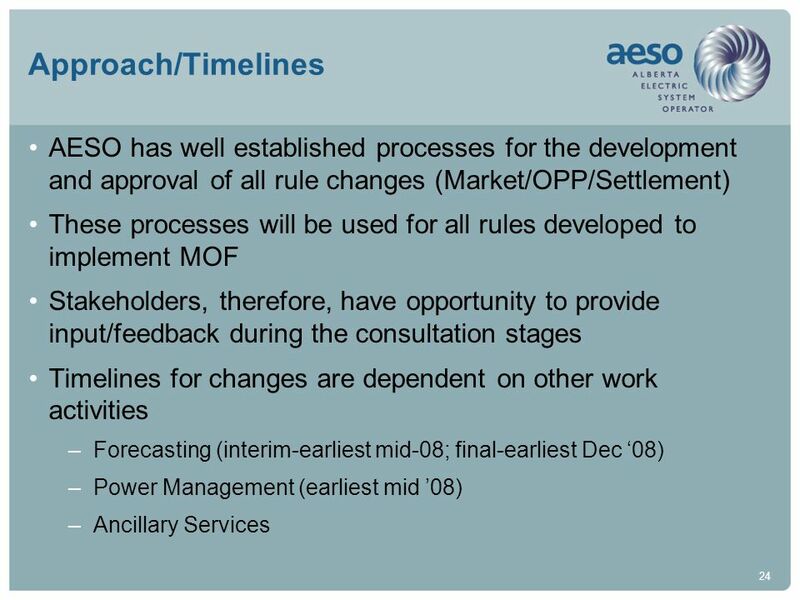 Implementation may be delayed, depending on complexity. 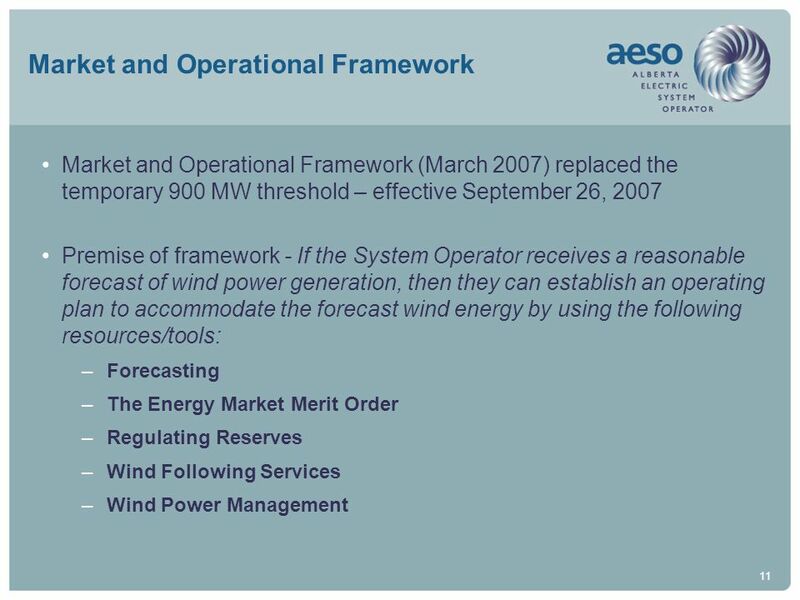 Forecasting requirements Frequency/timing Accuracy/Compliance Power Management procedures Supply Surplus - $0 offer dispatch procedures Other wind power management conditions & curtailment protocol Ancillary Services Refinement/improvements to Operating Reserve Market Development of Supply Following Service Other? 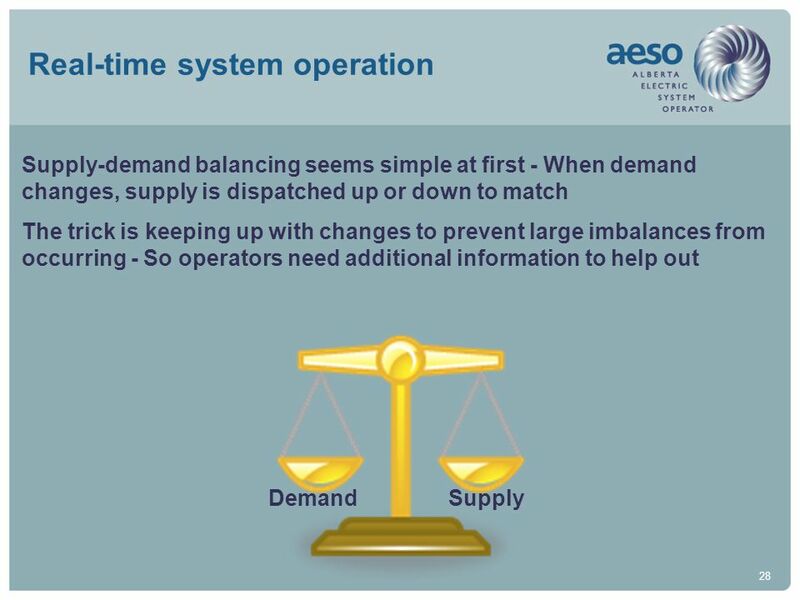 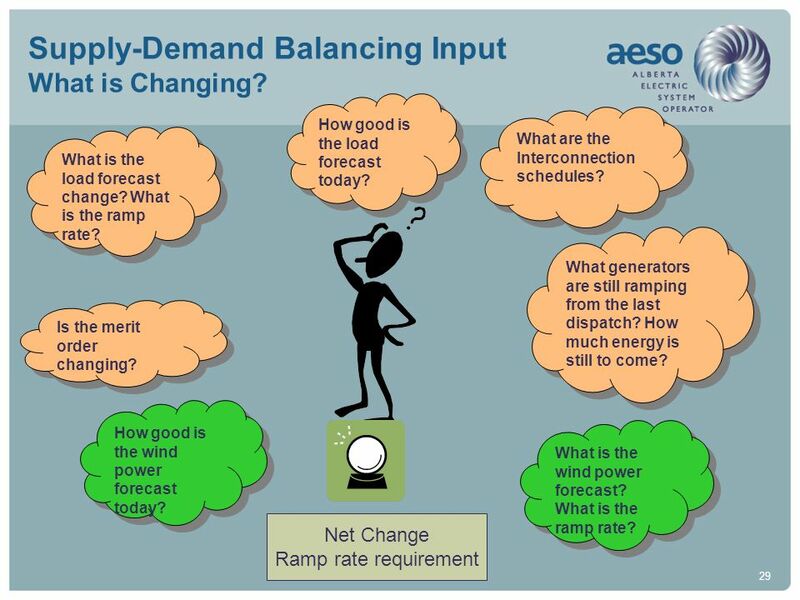 29 Supply-Demand Balancing Input What is Changing? 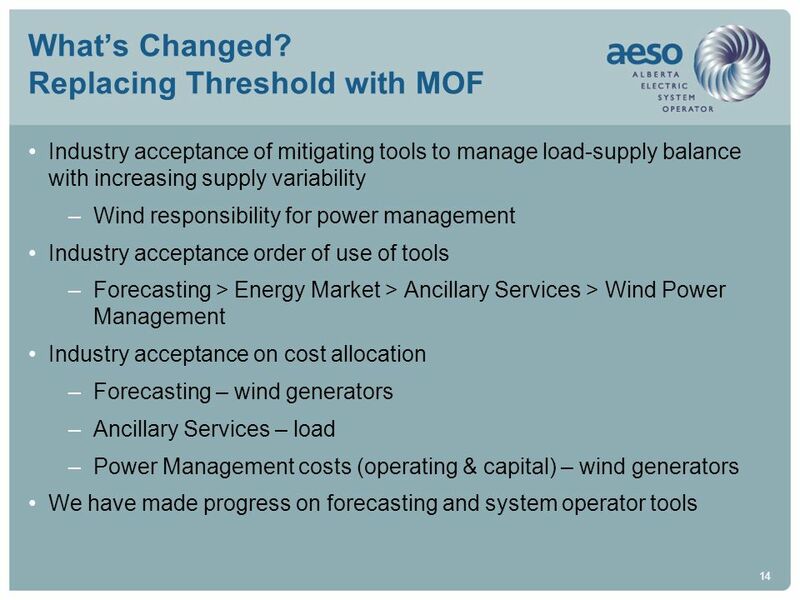 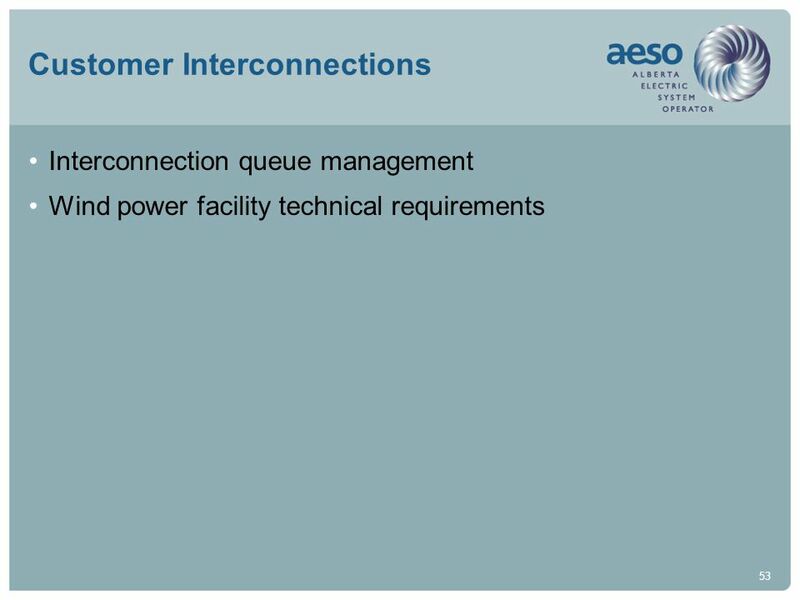 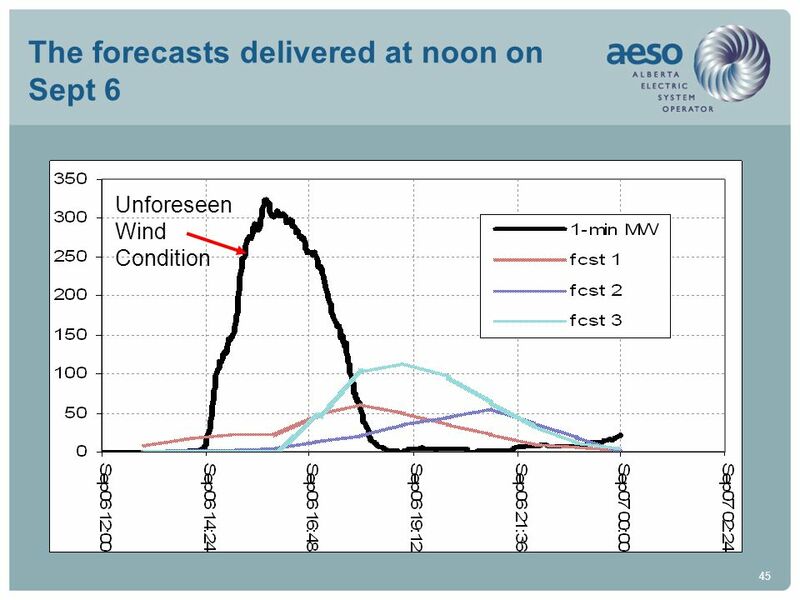 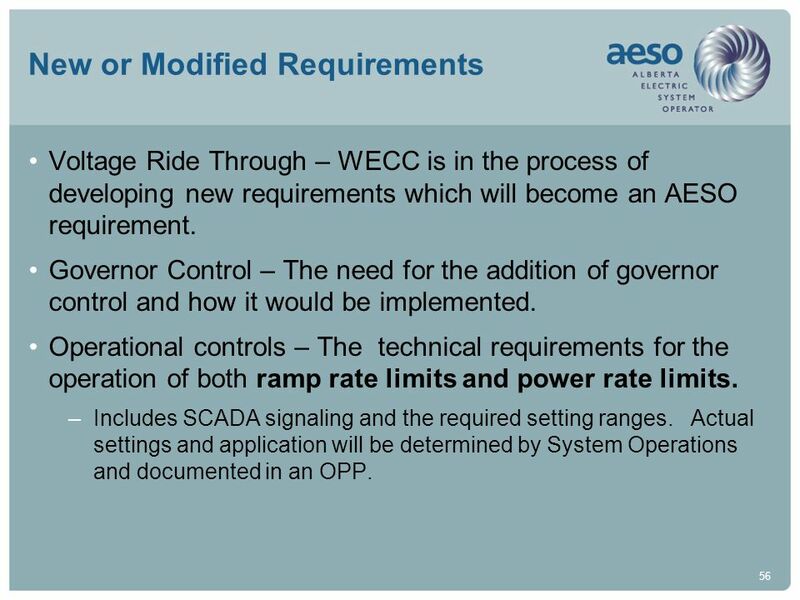 Voltage Ride Through – WECC is in the process of developing new requirements which will become an AESO requirement. 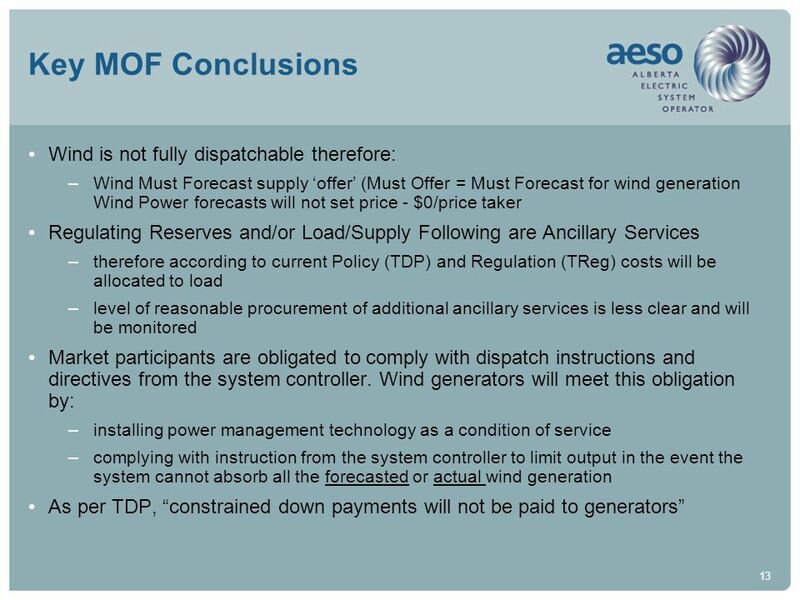 Governor Control – The need for the addition of governor control and how it would be implemented. 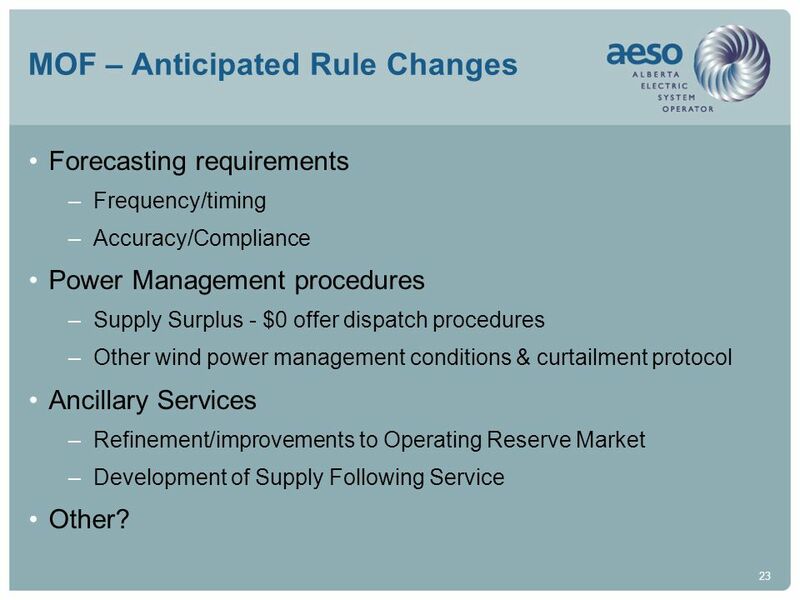 Operational controls – The technical requirements for the operation of both ramp rate limits and power rate limits. 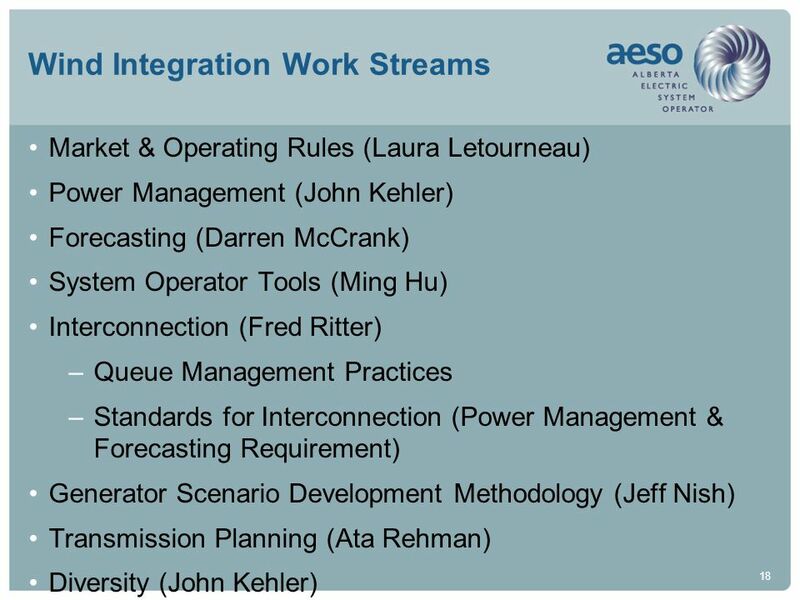 Includes SCADA signaling and the required setting ranges. 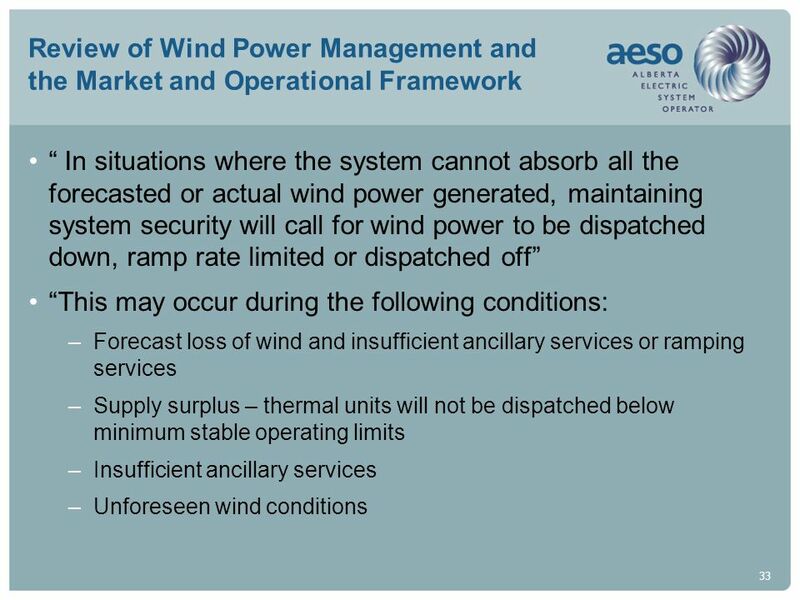 Actual settings and application will be determined by System Operations and documented in an OPP. 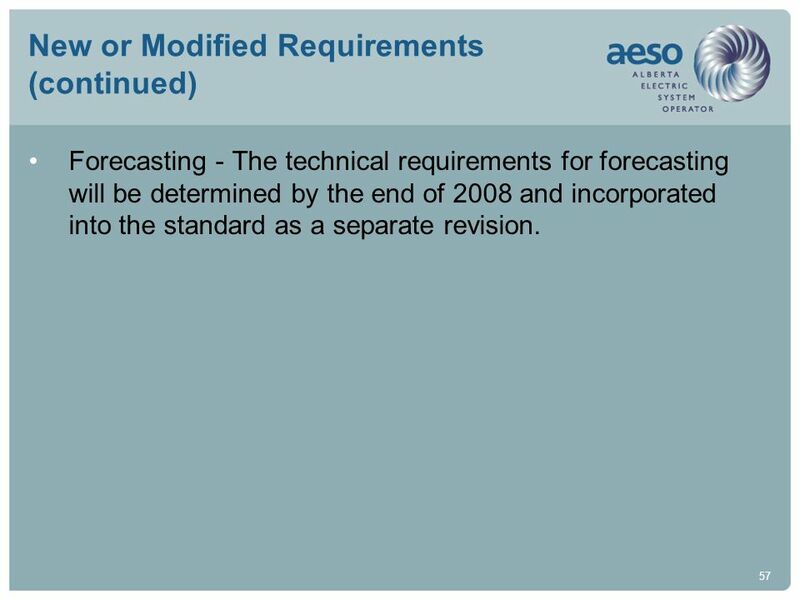 Forecasting - The technical requirements for forecasting will be determined by the end of 2008 and incorporated into the standard as a separate revision. 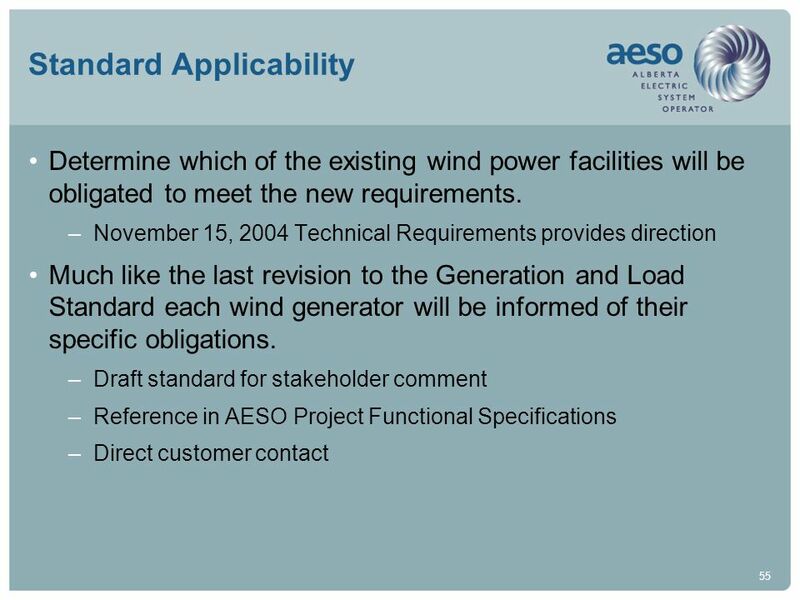 Draft Standard for external comment by March 1, 2008. 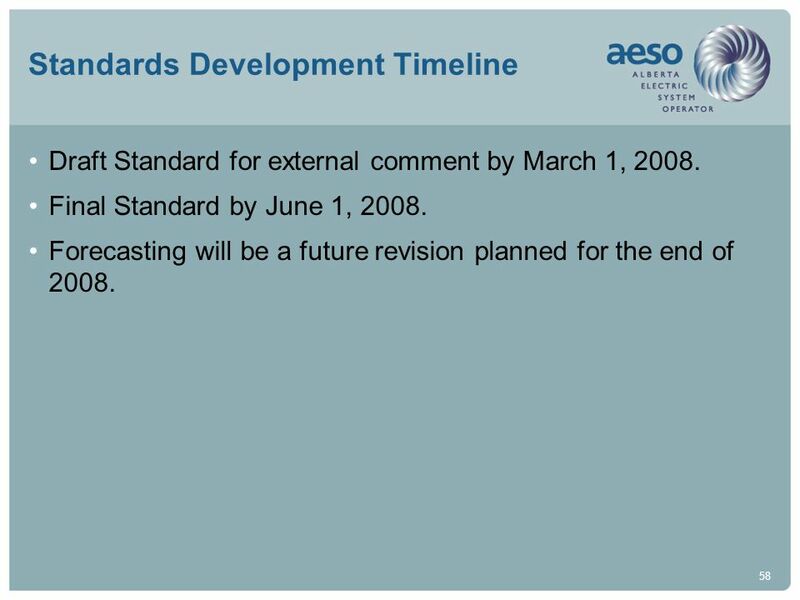 Final Standard by June 1, 2008. 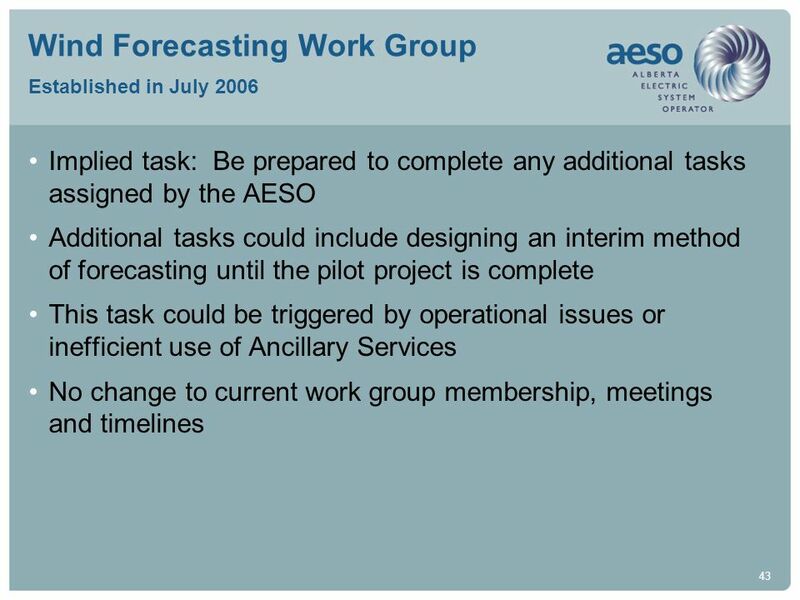 Forecasting will be a future revision planned for the end of 2008. 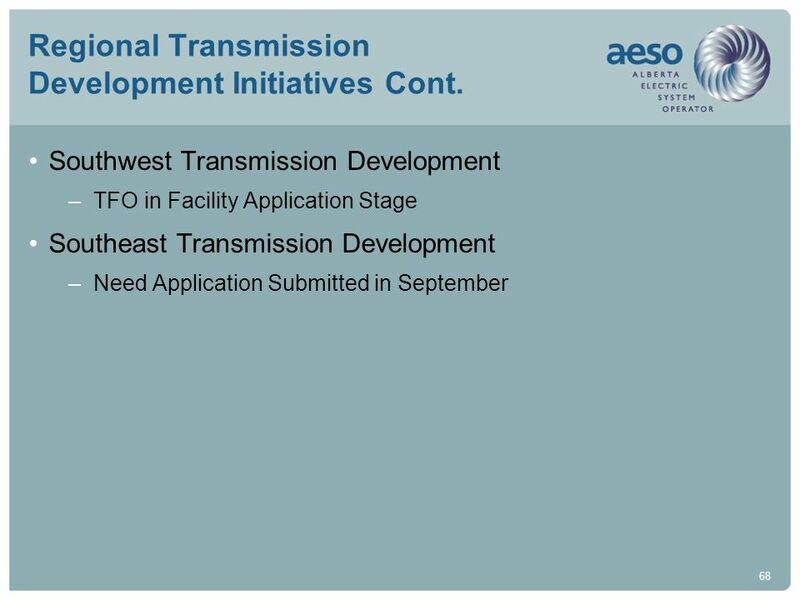 68 Regional Transmission Development Initiatives Cont. 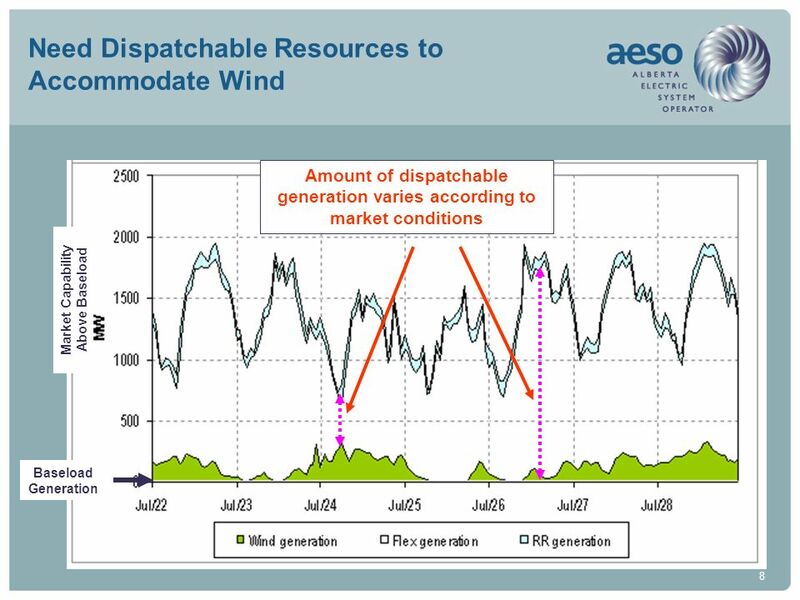 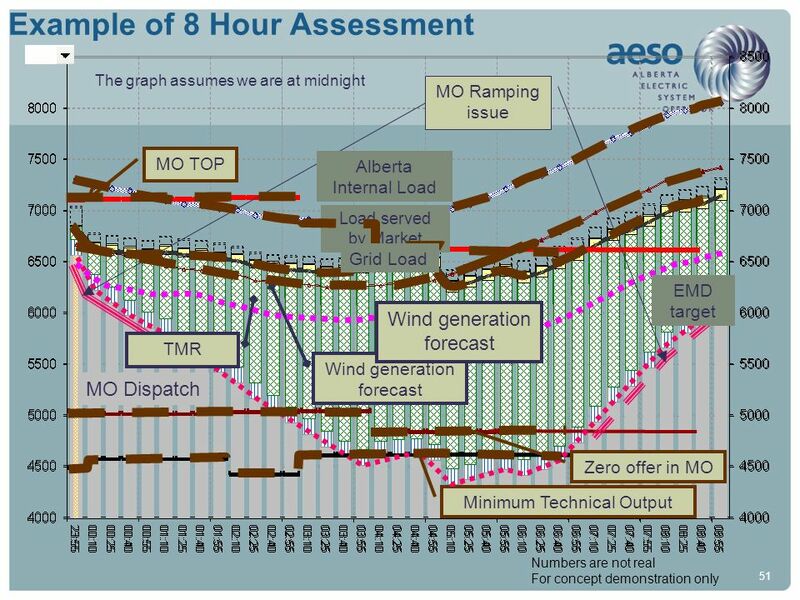 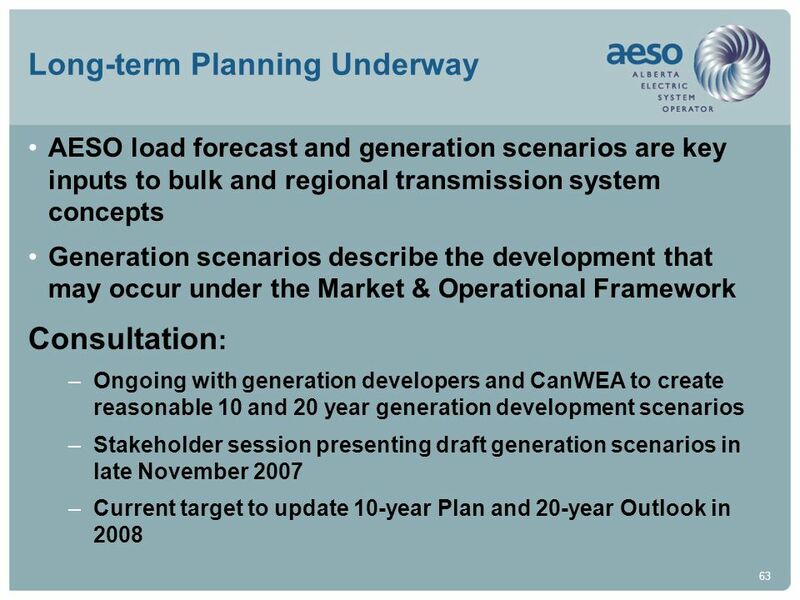 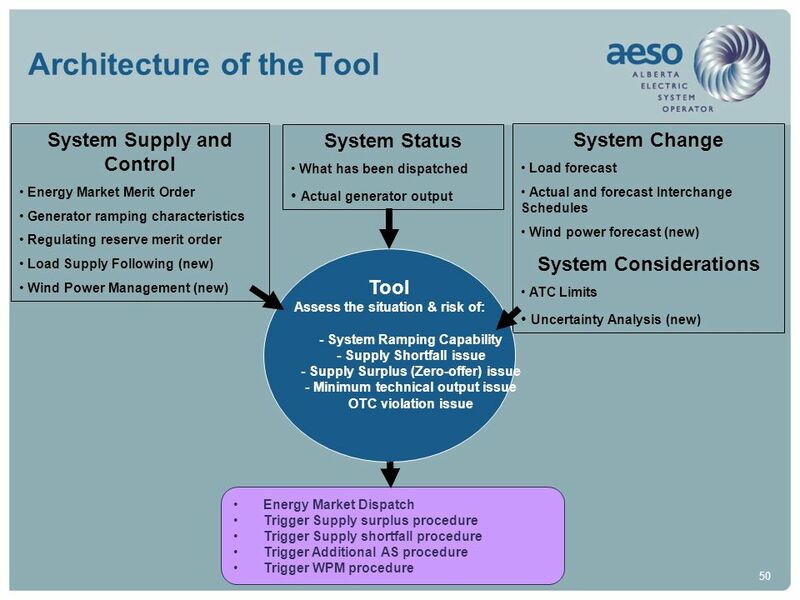 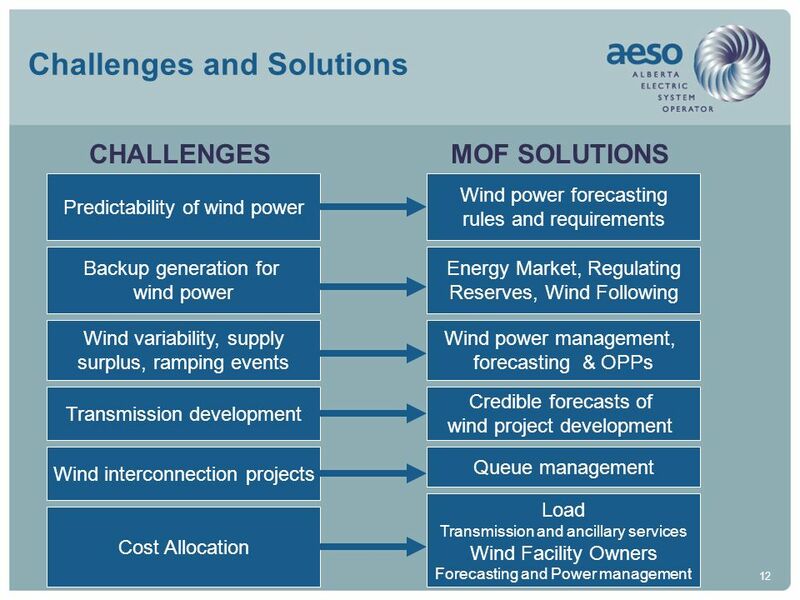 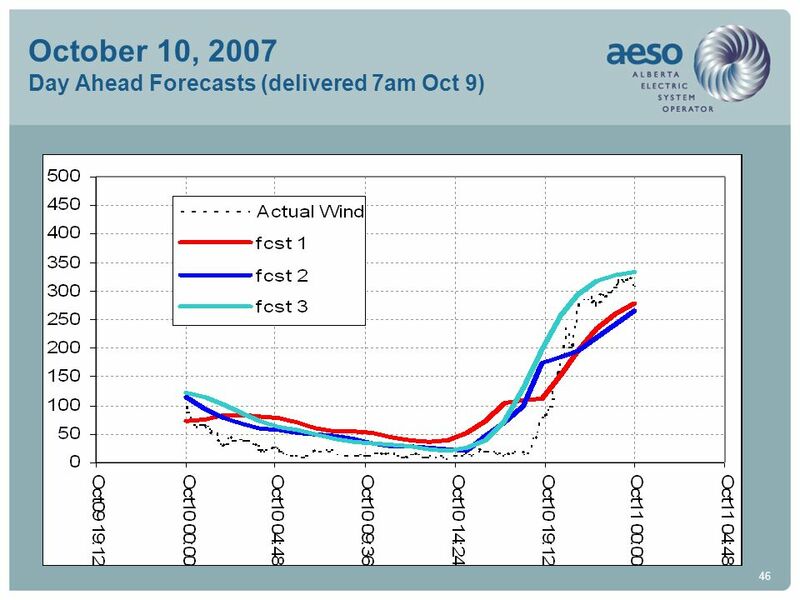 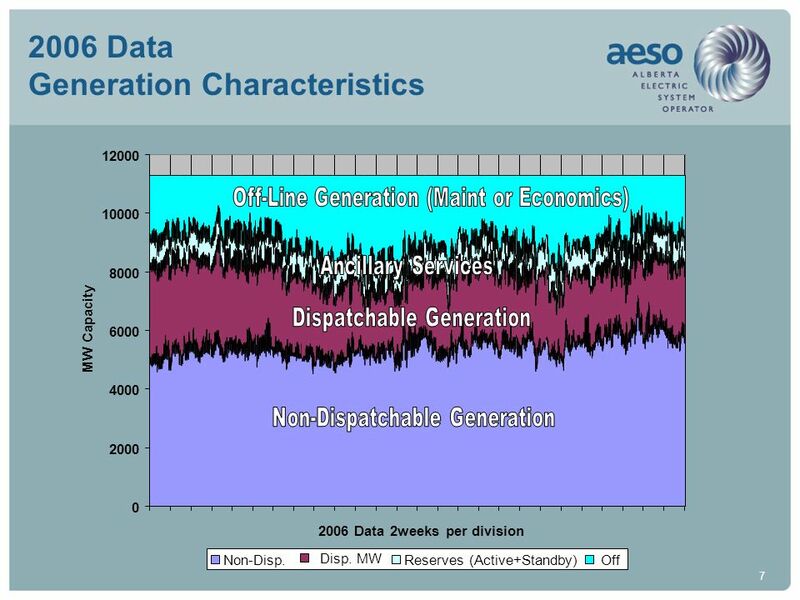 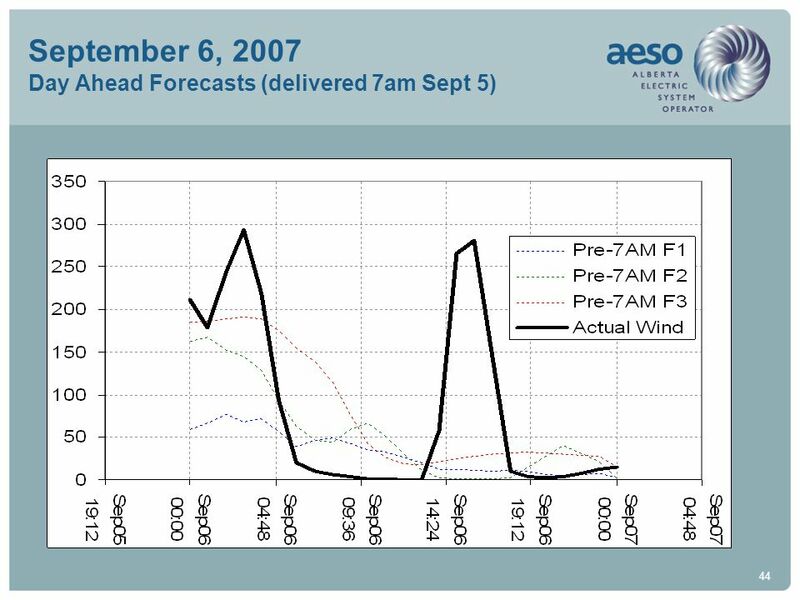 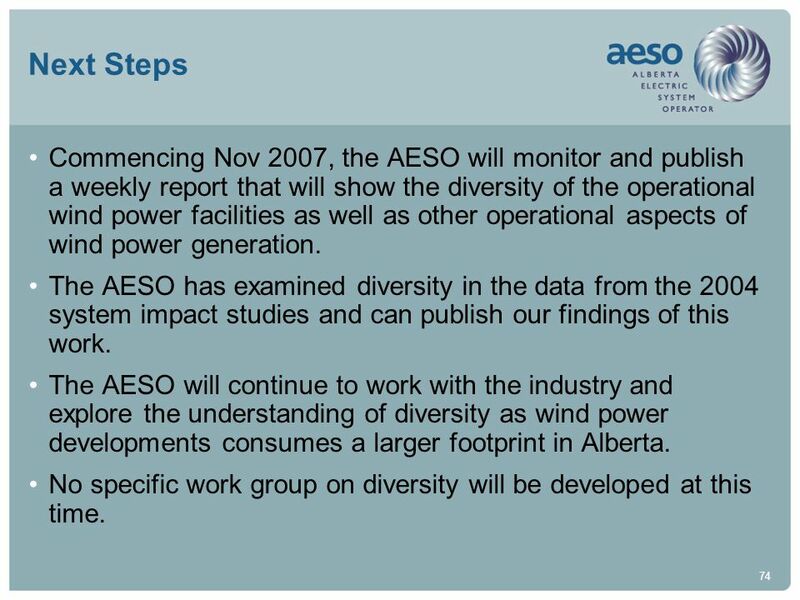 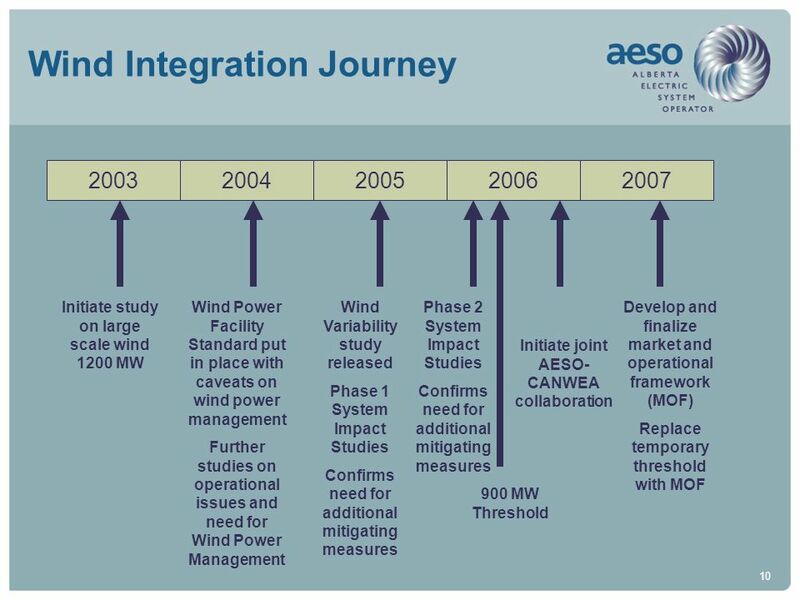 74 Next Steps Commencing Nov 2007, the AESO will monitor and publish a weekly report that will show the diversity of the operational wind power facilities as well as other operational aspects of wind power generation. 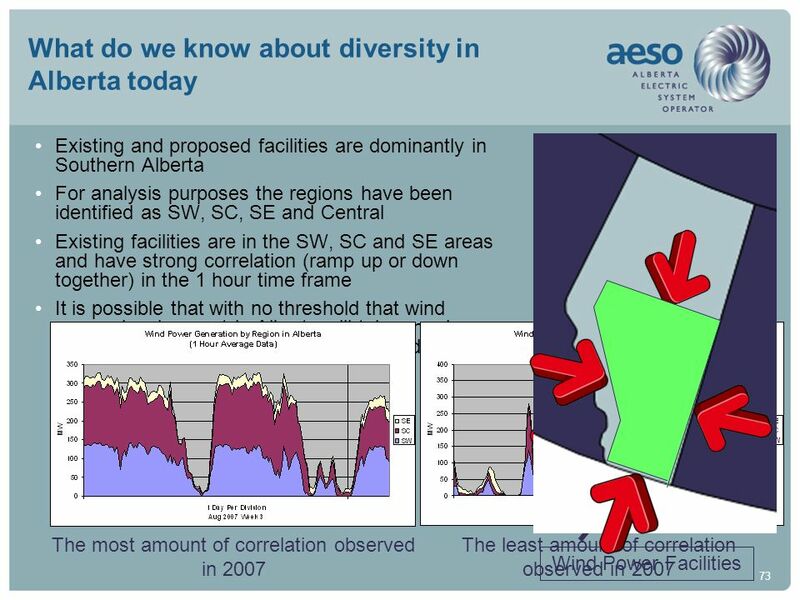 The AESO has examined diversity in the data from the 2004 system impact studies and can publish our findings of this work. 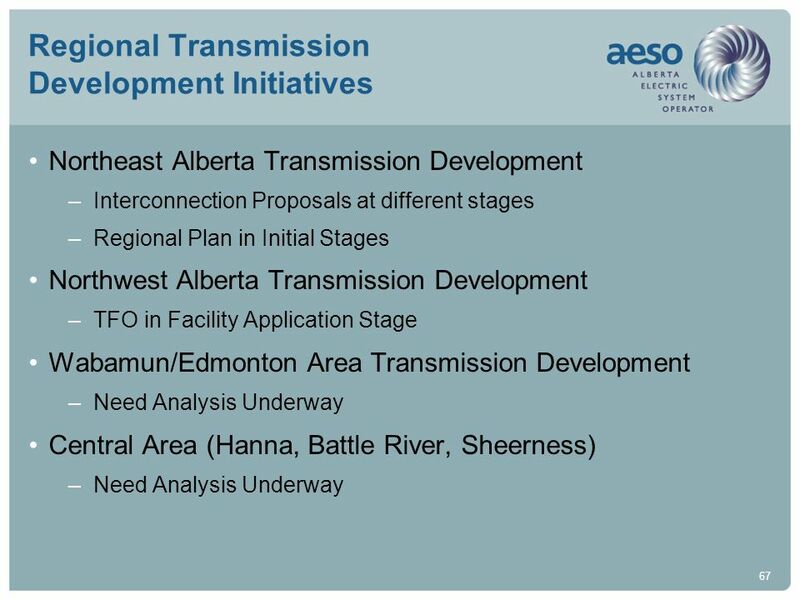 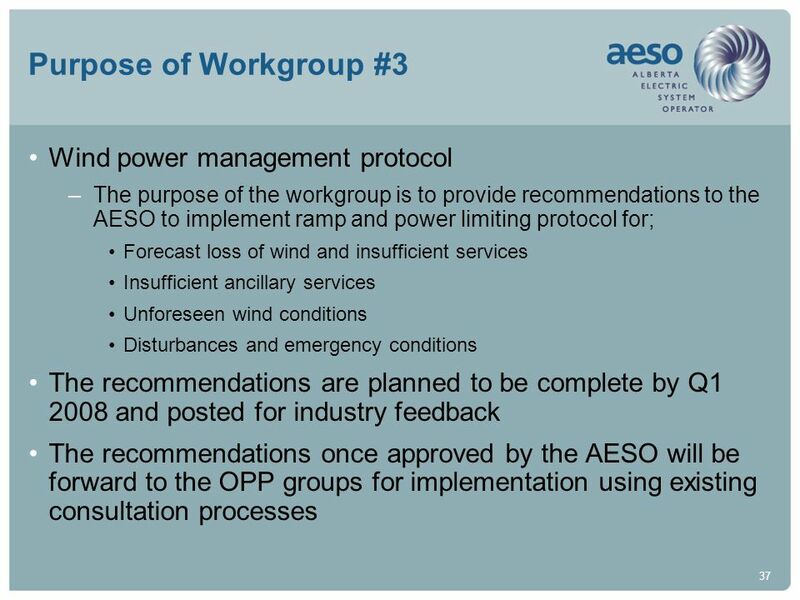 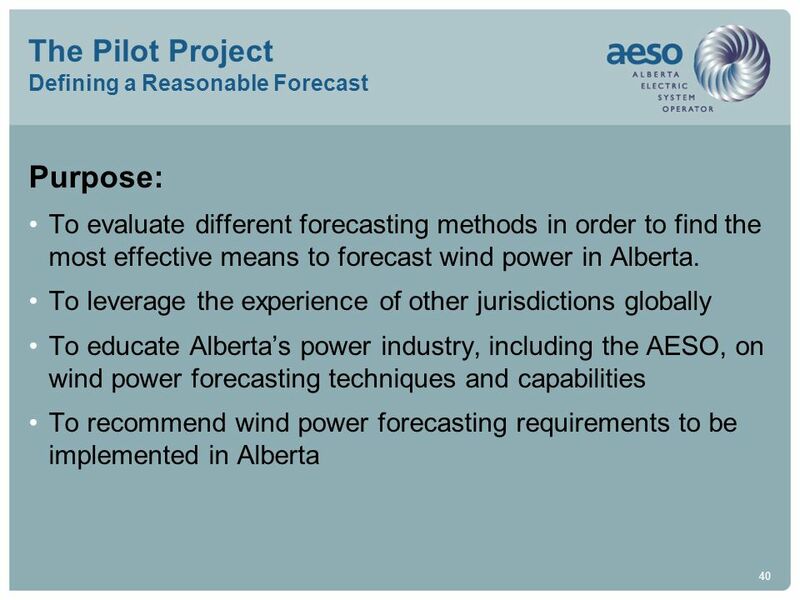 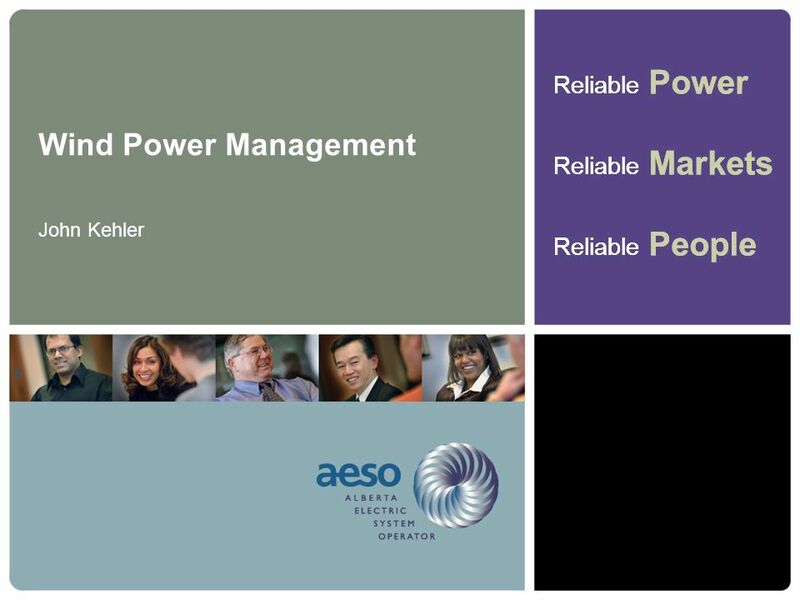 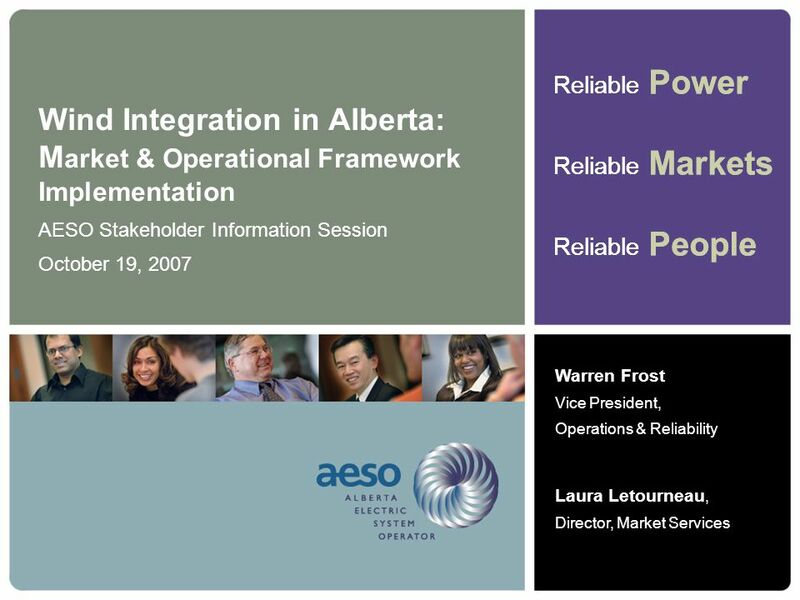 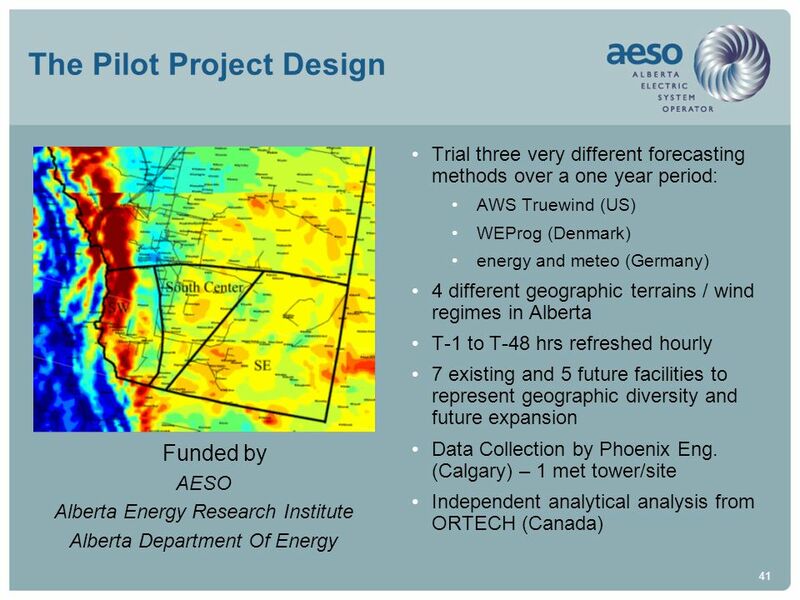 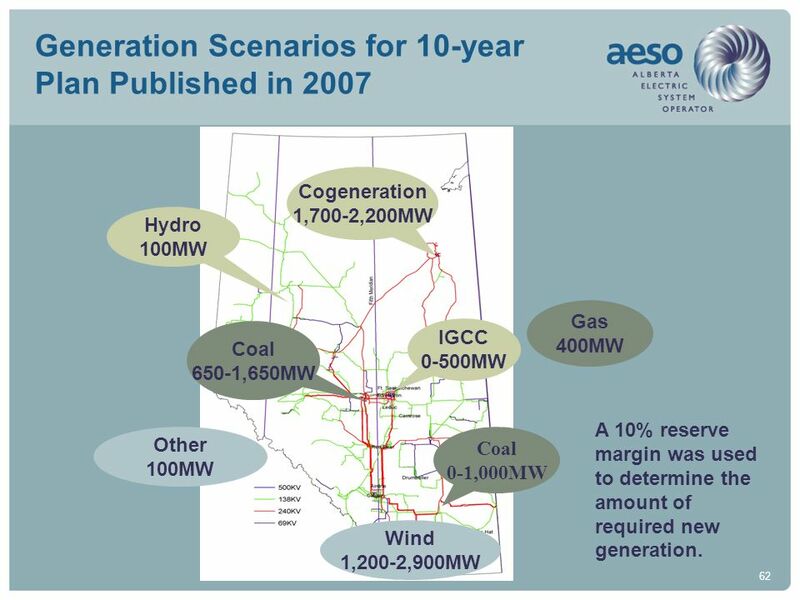 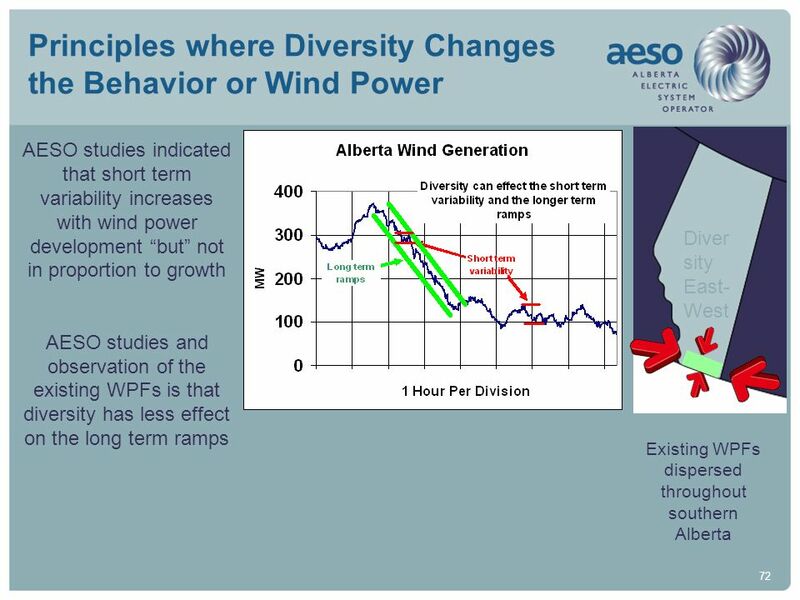 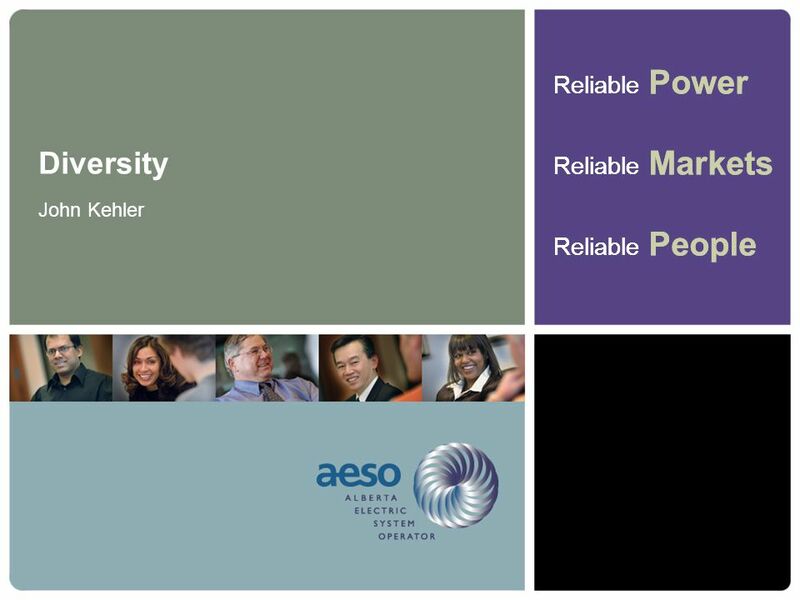 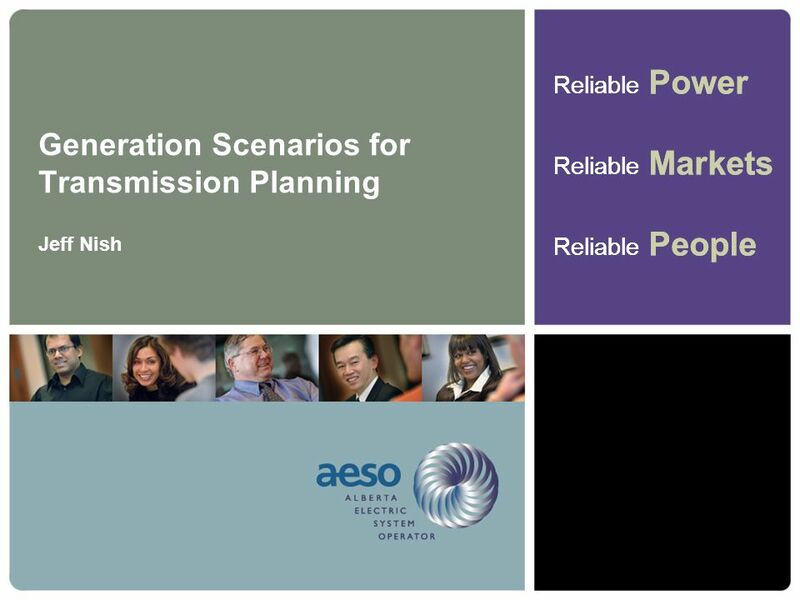 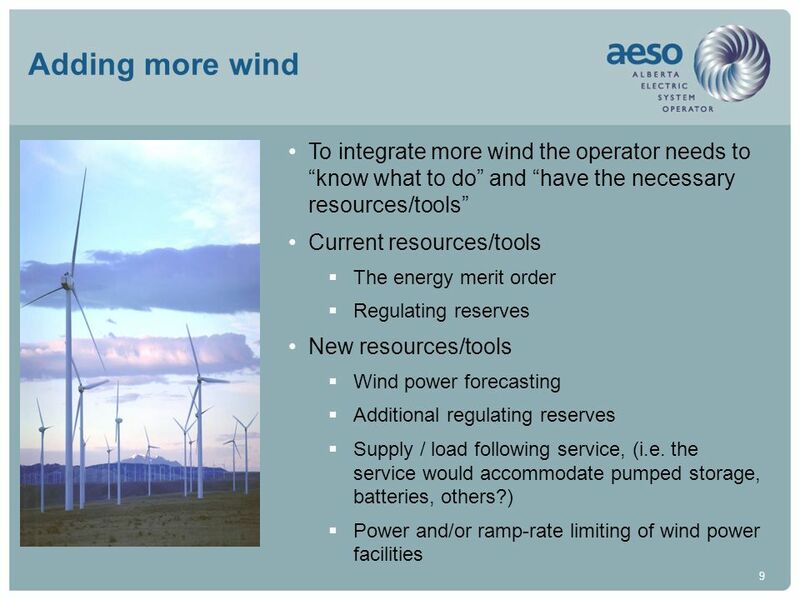 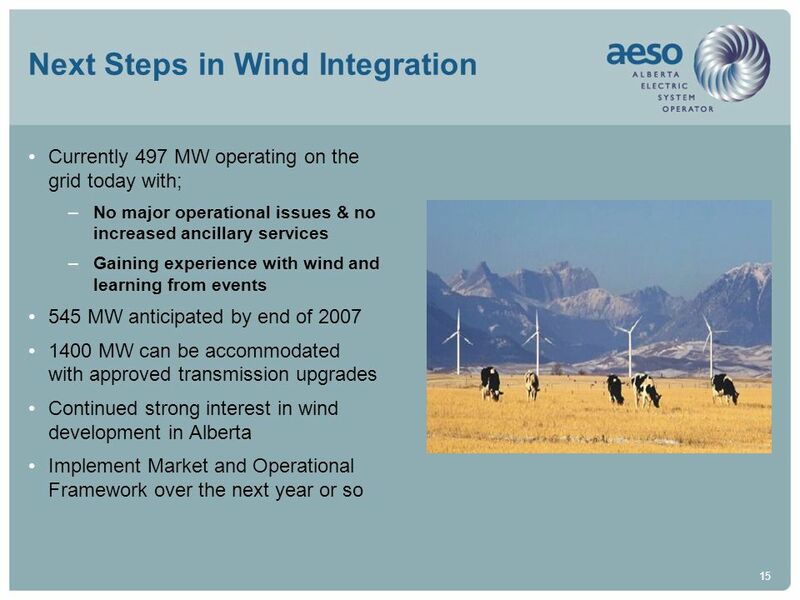 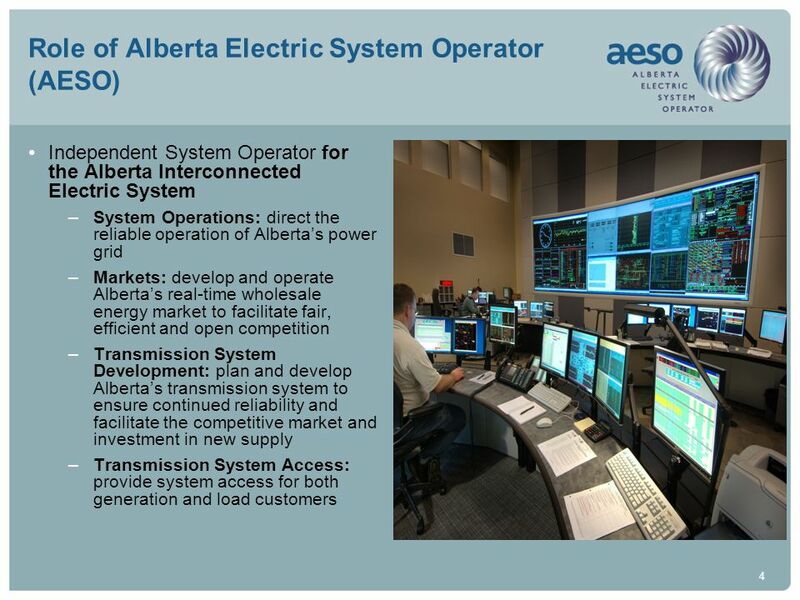 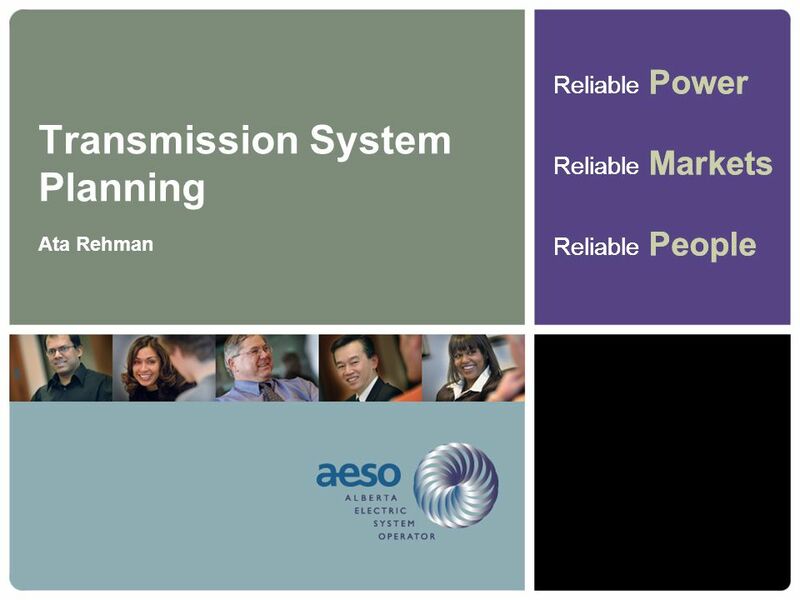 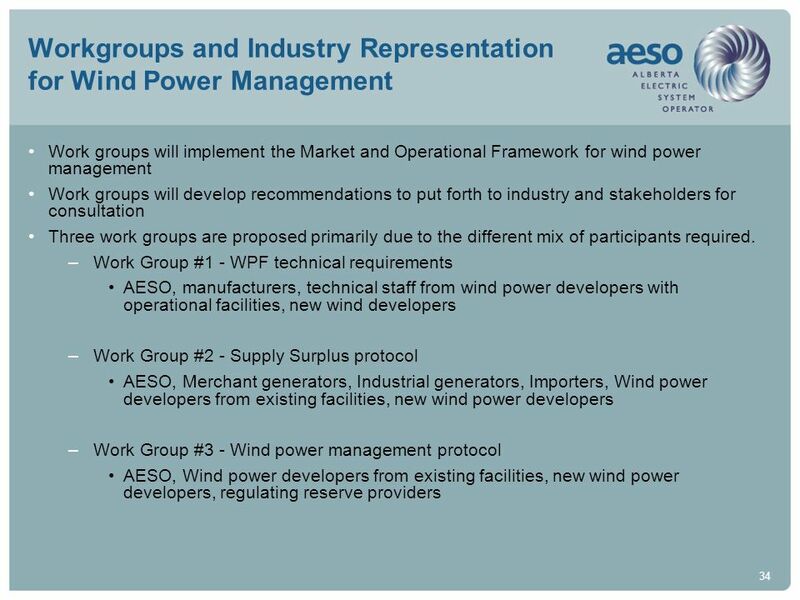 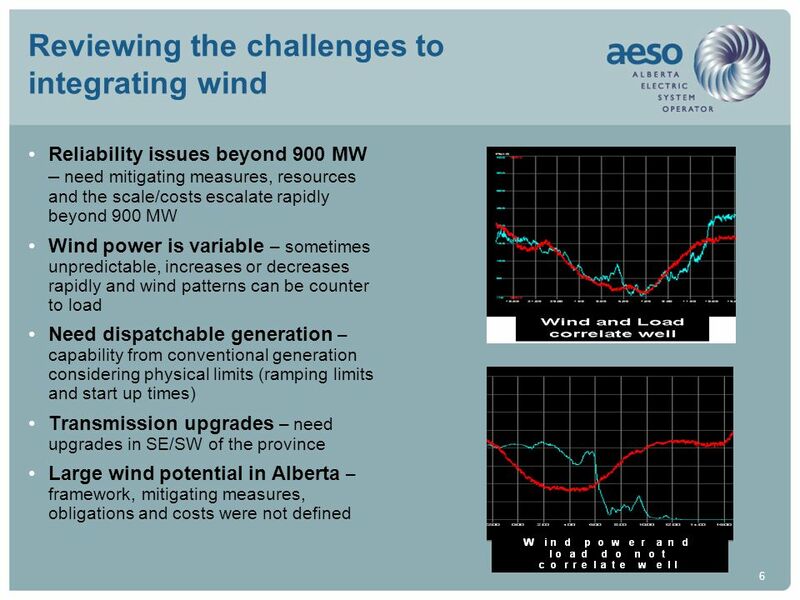 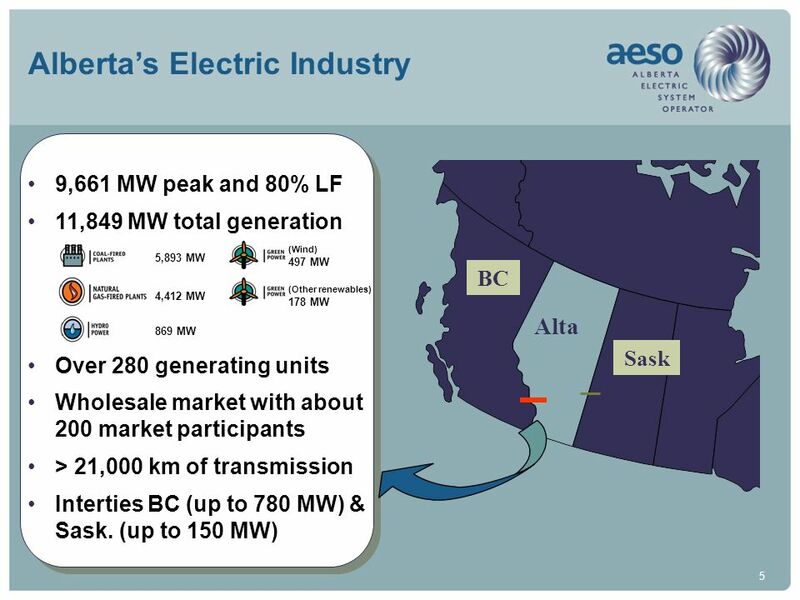 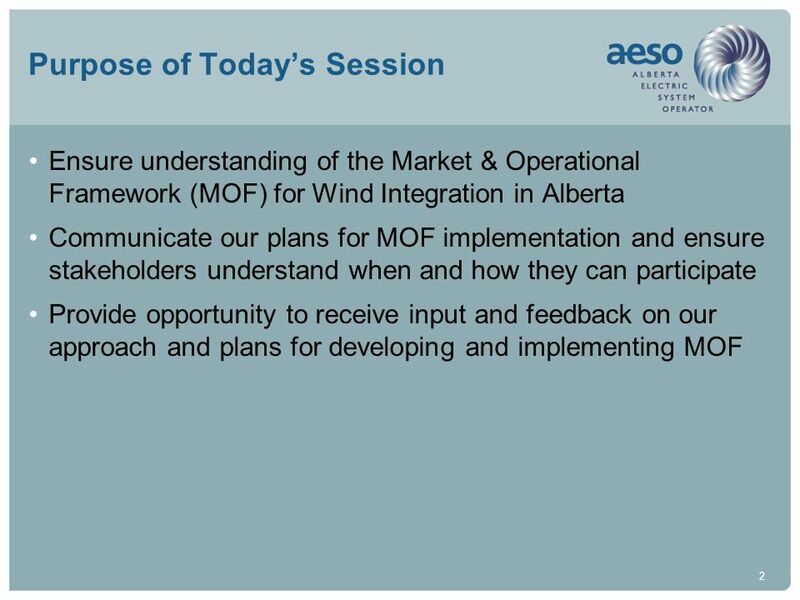 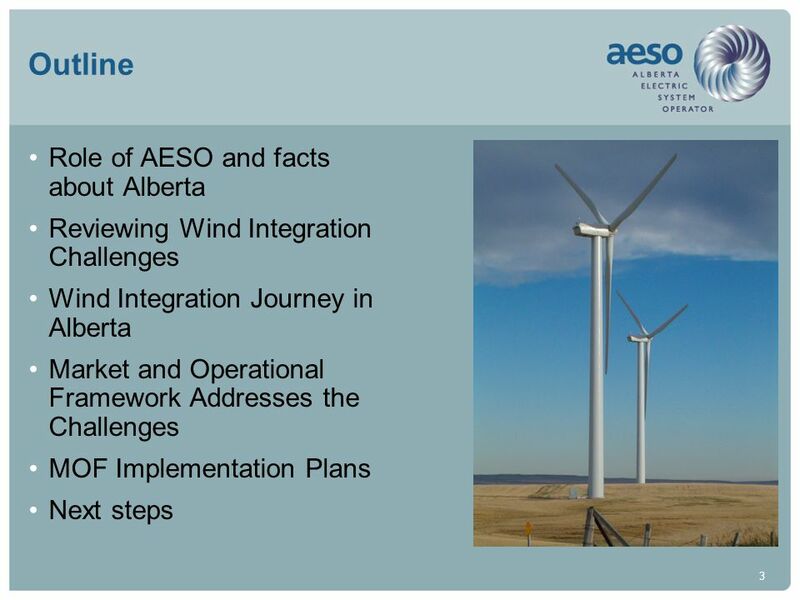 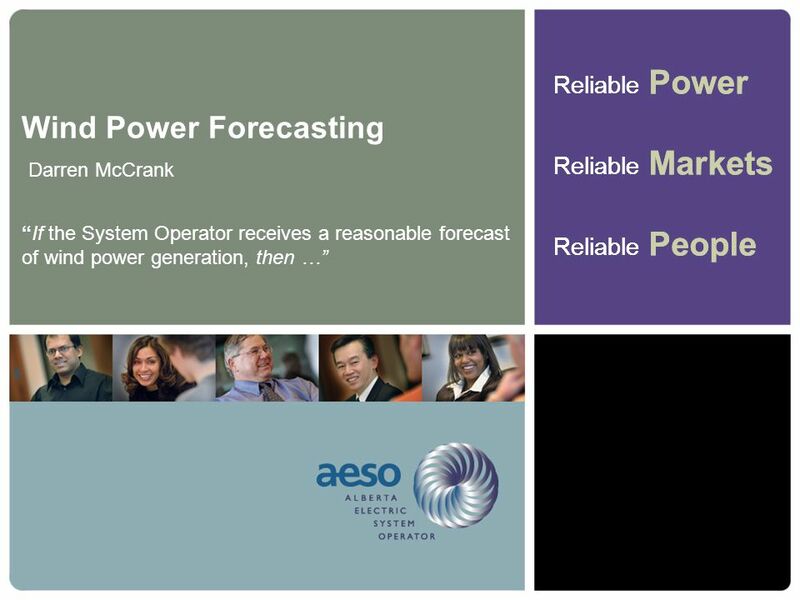 The AESO will continue to work with the industry and explore the understanding of diversity as wind power developments consumes a larger footprint in Alberta. 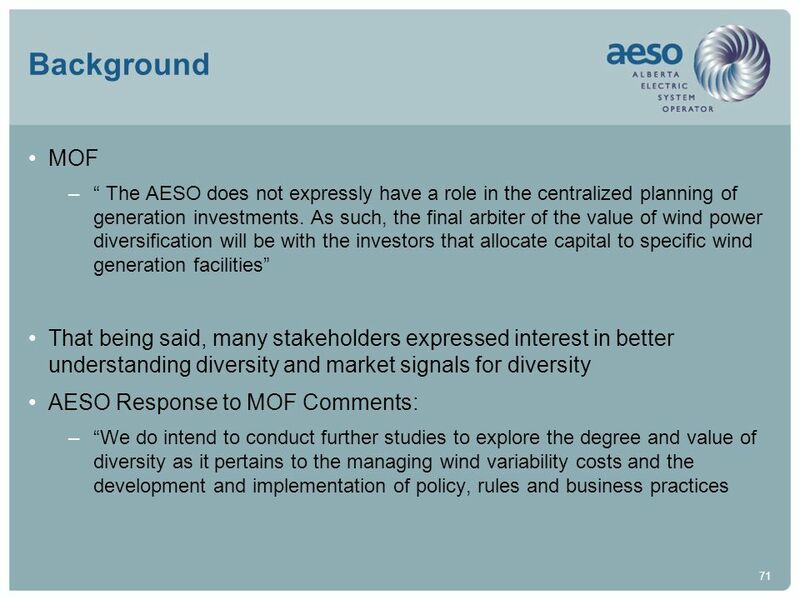 No specific work group on diversity will be developed at this time. 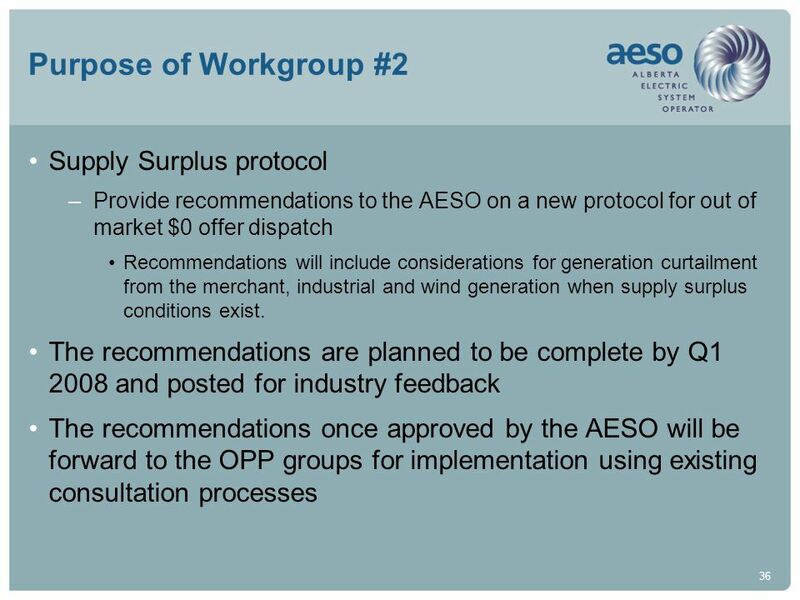 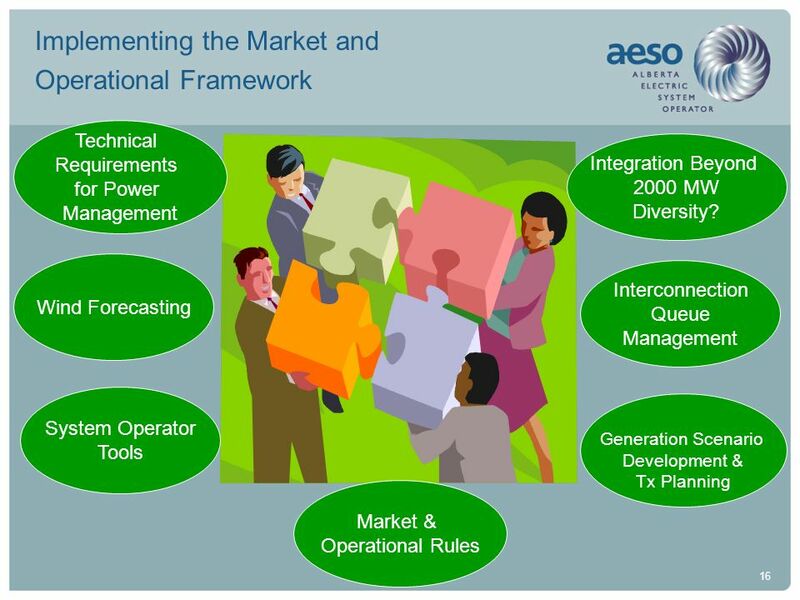 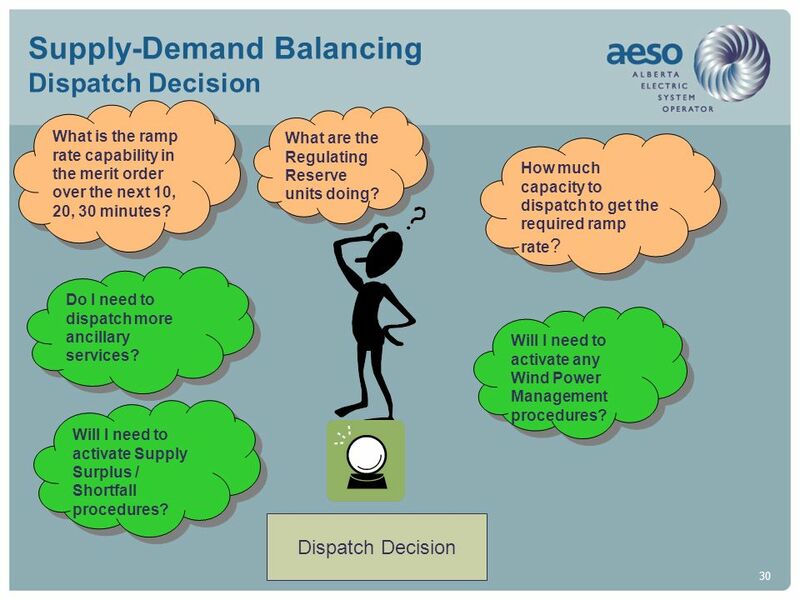 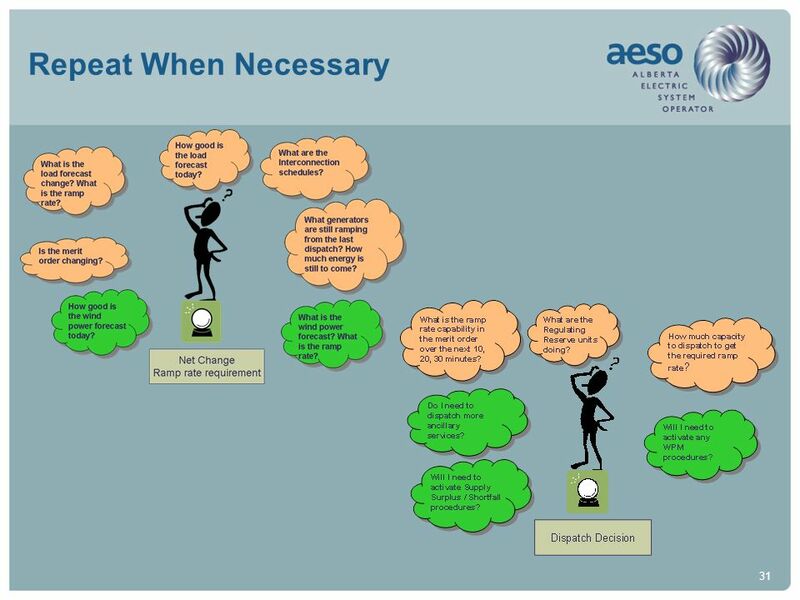 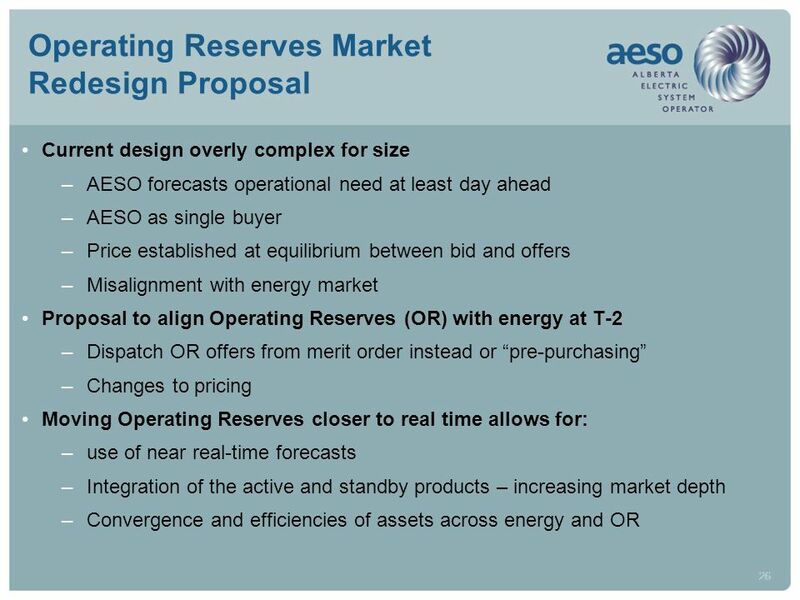 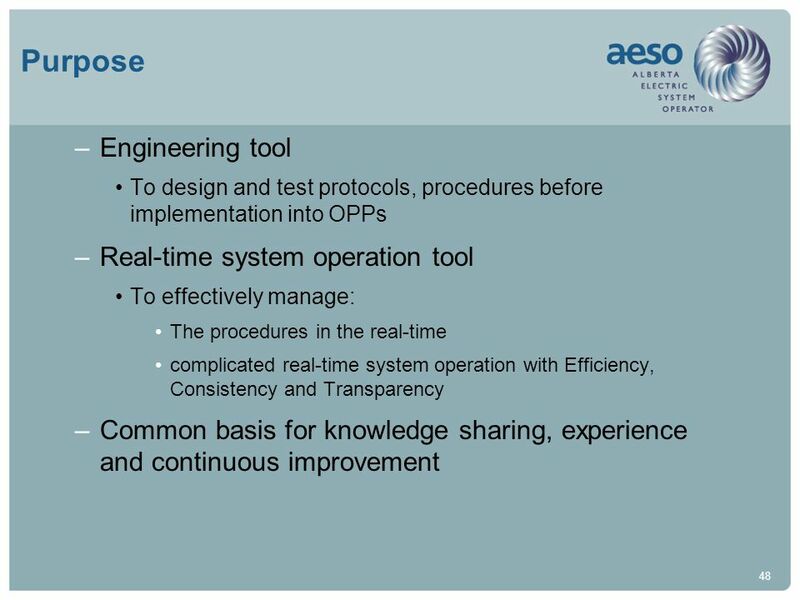 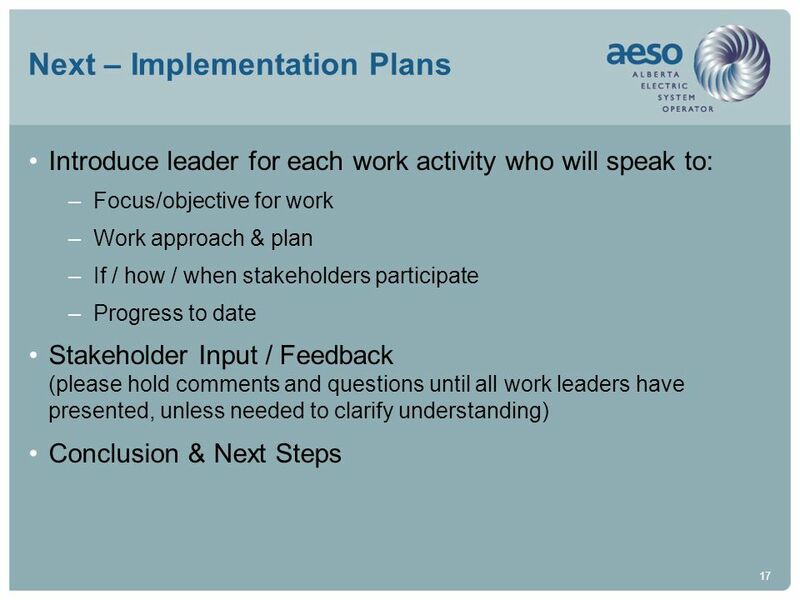 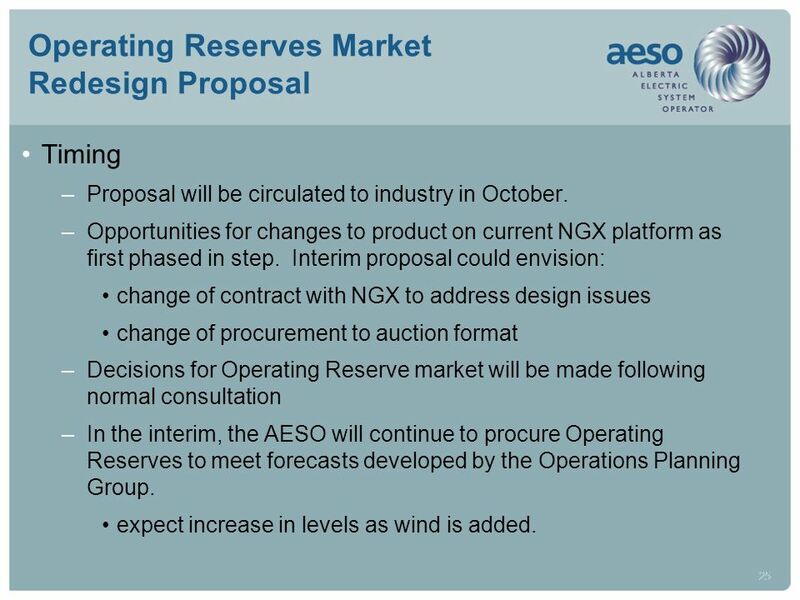 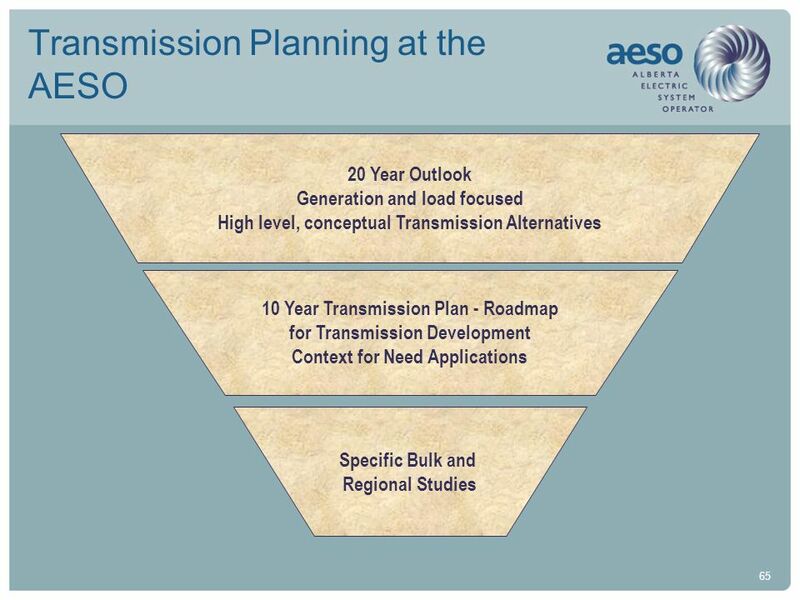 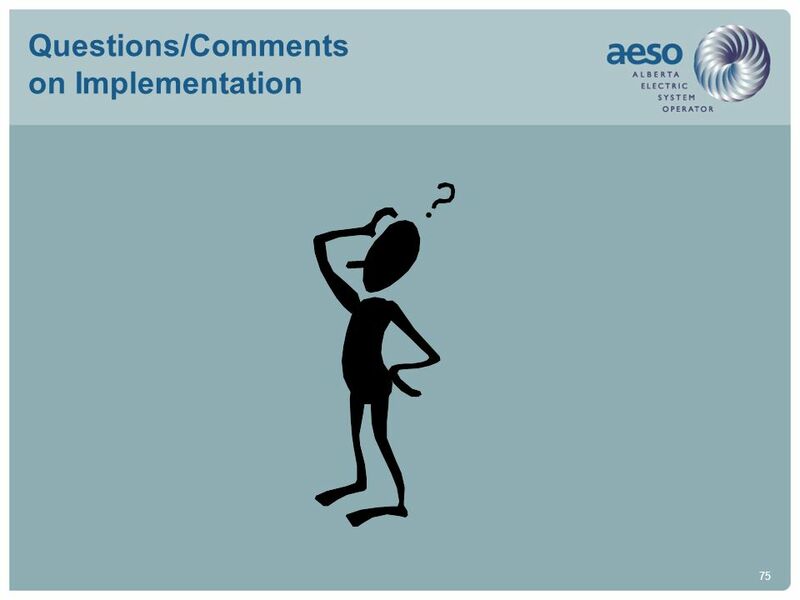 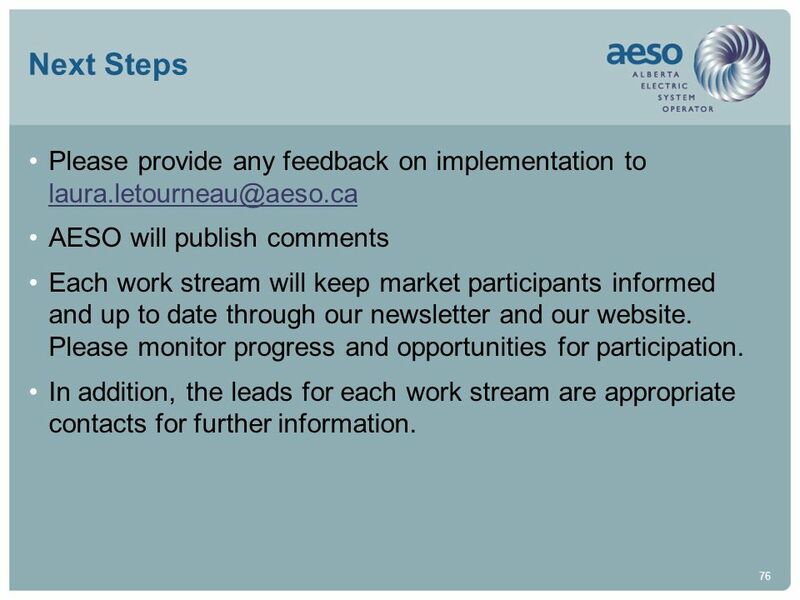 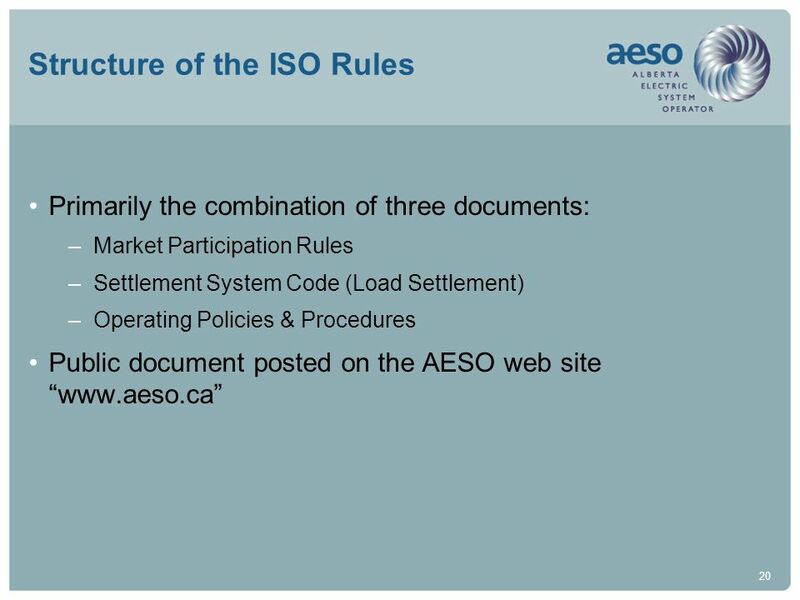 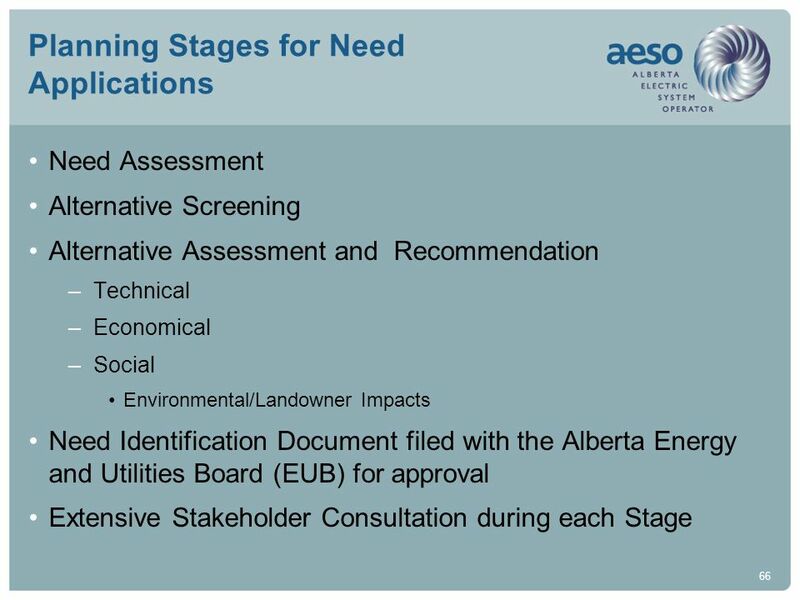 76 Next Steps Please provide any feedback on implementation to AESO will publish comments Each work stream will keep market participants informed and up to date through our newsletter and our website. 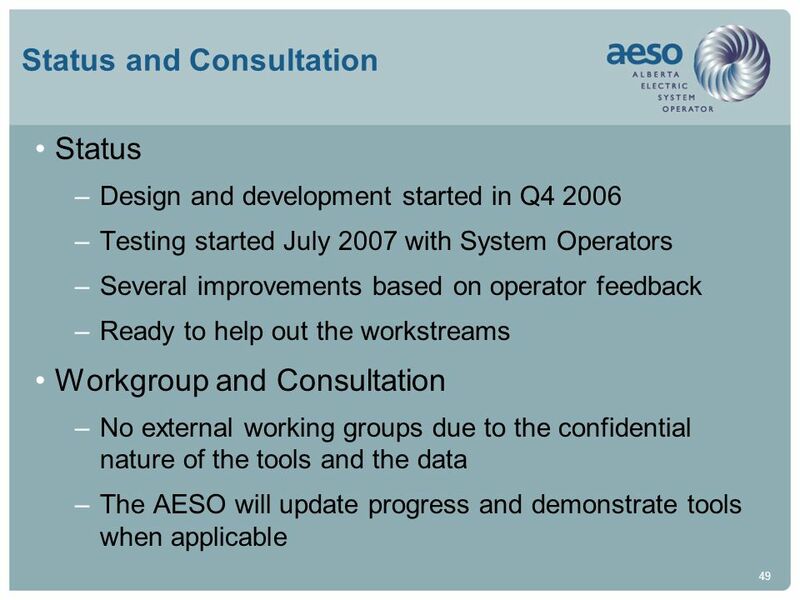 Please monitor progress and opportunities for participation. 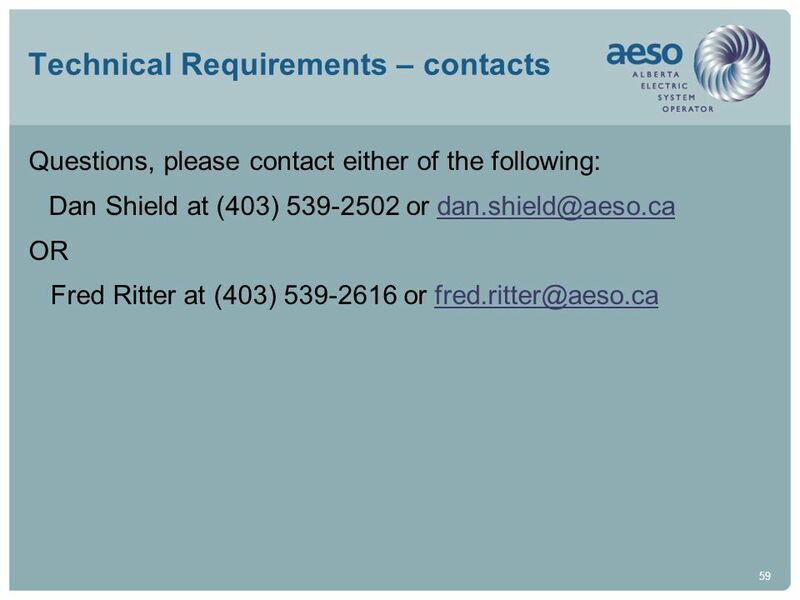 In addition, the leads for each work stream are appropriate contacts for further information. 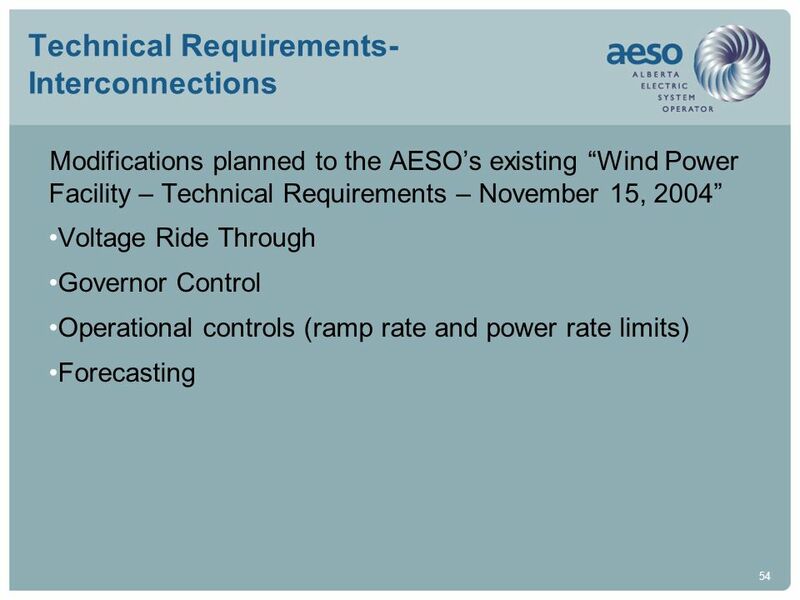 Download ppt "AESO Stakeholder Information Session October 19, 2007"
WECC/TEPPC Response to DOE Funding Opportunity Status Update June 29, 2009 Bradley Nickell Renewable Integration and Planning Director. 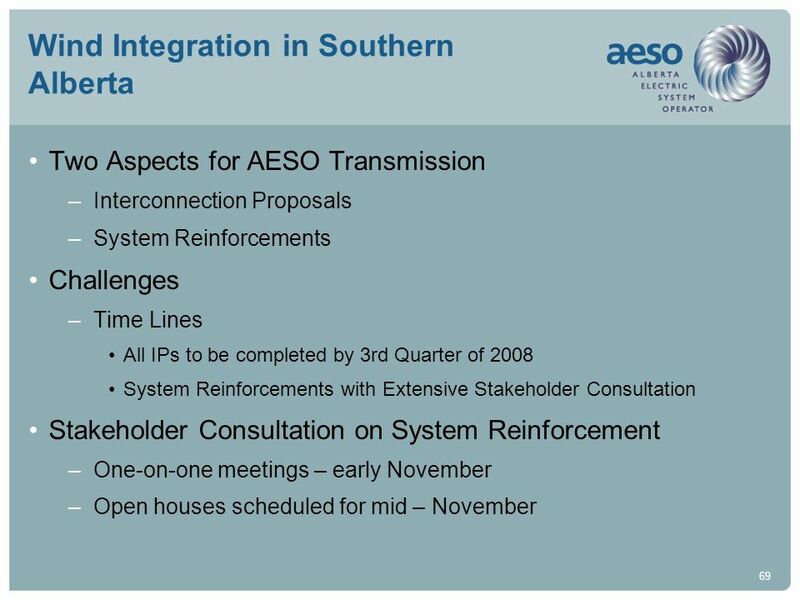 Briefing on California ISO Dynamic Transfers Stakeholder Process For WECC Seams Issues Subcommittee Meeting May 4, 2010 Jim Price, Lead Engineering Specialist. 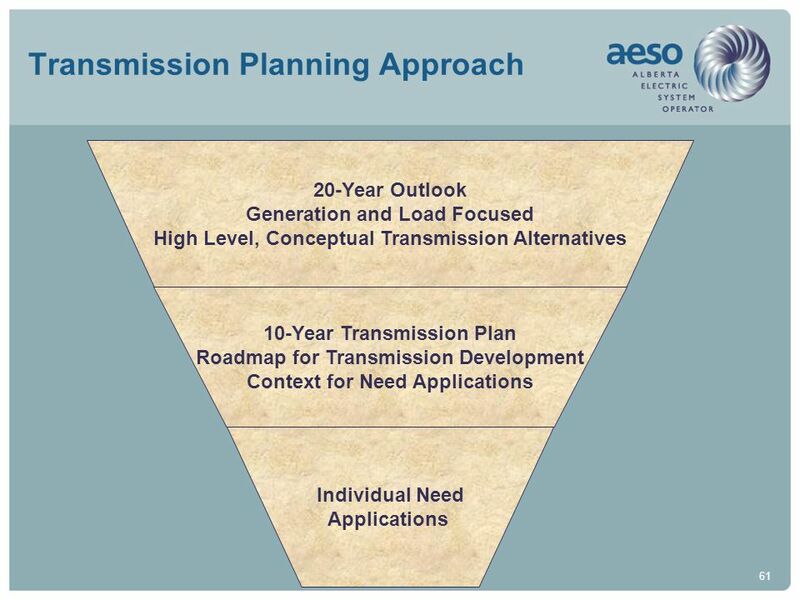 California Transmission Planning Group Presentation to: WECC Transmission Expansion Planning Policy Committee June 16-17, 2010 TANC. 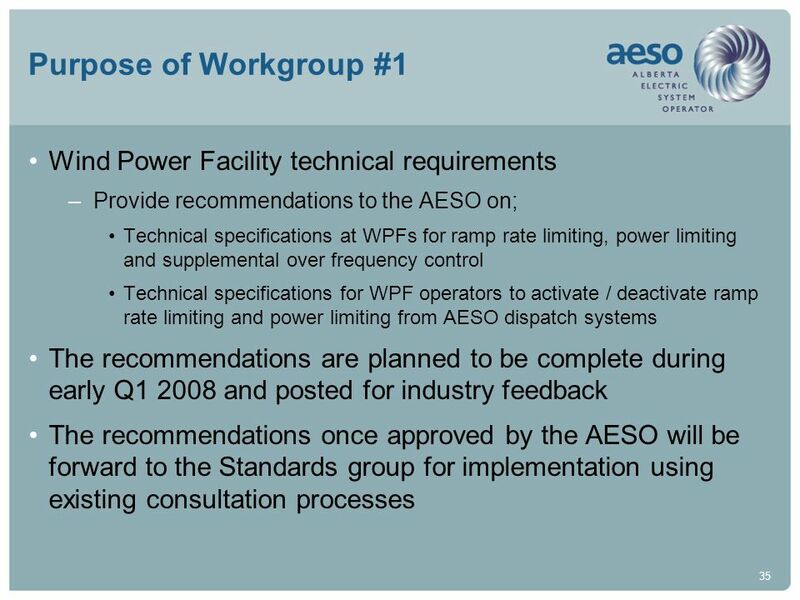 1 NERC Update WECC OC Meeting June 19, Two Items Variable Generation Reliability Reports. 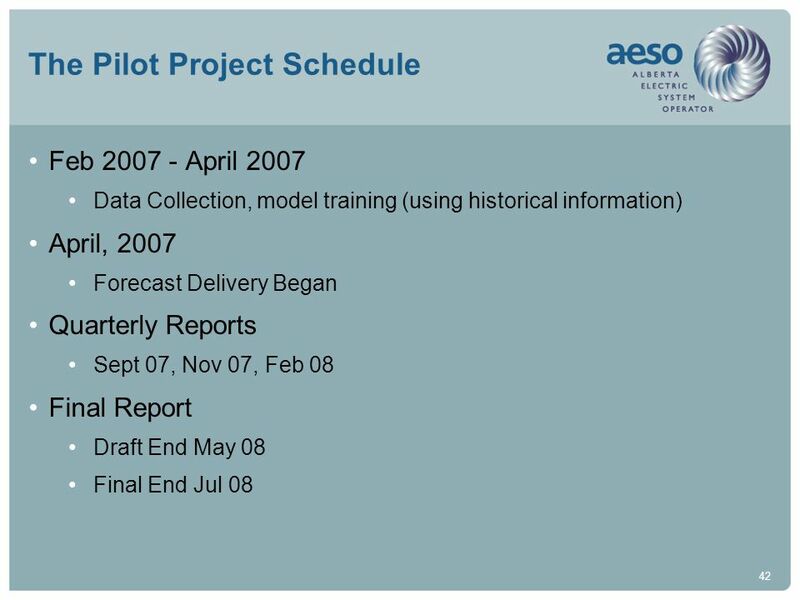 NERC Reliability Readiness The Next Steps Mitch Needham NERC Readiness Evaluator September 24, 2007.